Tyrone defenders Justin McMahon and Conor Clarke could be doubts for the Ulster SFC game against Derry on 22 May after picking up injuries on Sunday. McMahon damaged a hamstring in Omagh's club game against Clonoe with his club-mate Clarke sustaining an ankle injury. Former All-Star full-back McMahon was forced out after 20 minutes with Clarke having to depart the fray in the closing stages. The Red Hands will face the Oak Leaf County at Celtic Park. 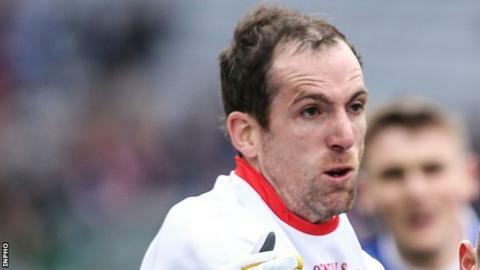 Tyrone could be without goalkeeper Niall Morgan who sustained a broken hand last month and missed the Division Two League final win over Cavan.